It’s odd that even though the case of the week ate up most of the screen time, the facts of the investigation weren’t all that important. It was the after effects of channelling someone who is able to express themselves that stood out here, making this episode an important one, character wise. 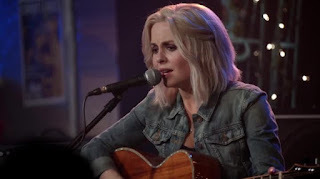 The victim of the week, a country singer/waitress, had all the tools needed to bring out all the emotions she had trapped inside. After going through a tough few months, taking on that trait was exactly when Liv needed. 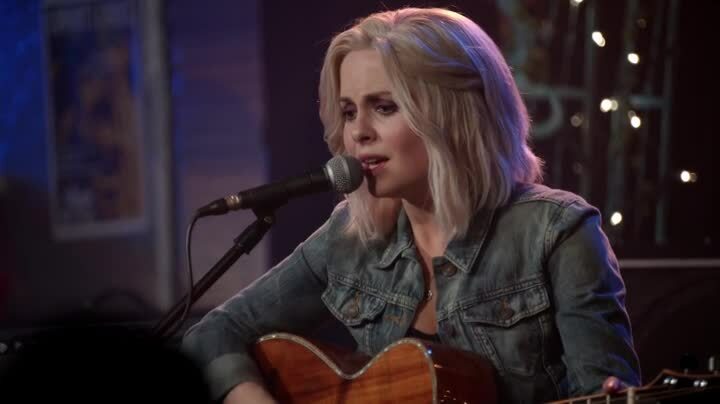 It also gave us the privilege of hearing Rose McIver sing. She has a lovely voice. I think I gave a cheer when Liv confronted the ever depressing Major, who is now at his lowest point, and called him out on his BS. Sure he’s had it rough, and Liv did lie, but she’s been going through hell too. She did the best she could in the weird situation she was thrown into, and fought to keep Major alive. He doesn’t have any right to put all his issues on her just because he’s struggling. Elsewhere, Peyton and Liv were re-united, and I really loved it. It was sweet and honest, and I like that Peyton was understanding about what Liv had been through. I don’t love that she might have a thing for Blaine, though, because gross. Although, it would be really cool to see what happens if they did become a thing, and how Blaine might use Peyton against Liv. Ravi called Major’s new dog Minor. I think I’m in love with Ravi. I hope Peyton gets to take down Liv’s evil roommate. ‘Even Cowgirls...’ wasn’t a blowout of an episode, but it was emotionally powerful, and had a lot of great character beats. The show can really sell the zombie sleuthing, but episodes like these are necessary to balance it out. I think I'm in love with Ravi too. I almost cried when he showed up to singer/songwriter night in full on cowboy gear to support Liv. And he recorded the whole thing. He's such a good friend. Liv & Peyton's reunion scene was pretty much exactly what I hoped it would be. It was honest, it was heartfelt, it wasn't overly dramatic, they handled it just right. I do wish we could have gotten a little bit of Liv explaining to Peyton what life as a zombie is actually like, though. I get that it might have felt a little repetitive to the audience who's already quite familiar with the "rules" of the show by now, but it would have been nice if they'd touched on that at least a little bit in their conversation later in the episode. Hopefully we'll still have a chance for them to talk about that here and there. She's likely to find it all a whole lot weirder than Ravi does, so her reactions to it could be interesting. Plus, being able to talk about the whole zombie thing is a chance to Peyton and Ravi to reconnect(because c'mon, you know they're gonna tease that possibility). I was NOT a fan of the sudden turn of events at the end, I must say. Major hitting rock bottom and going to Liv for help, that I can understand. The two of them hooking up? Ugh, just no. Especially not so soon after Liv read him the riot act. It weakens Liv as a character, imho. Isn't Major worried about catching "zombie VD"? And isn't Liv worried about giving it to him? Or do they believe having had the cure once makes him permanently immune? Maybe it does. In which case, maybe they can make a vaccine from his blood?